Ministers and Their Vesture. 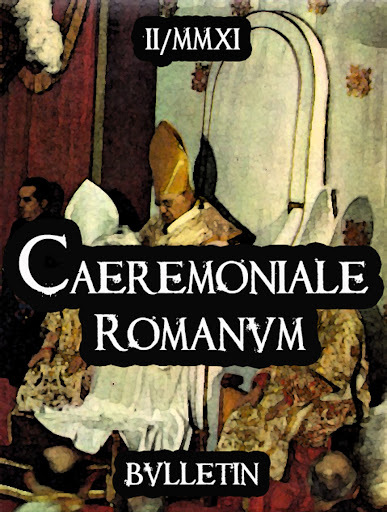 The Celebrant will be a Cardinal and will sit at the faldstool on the Epistle side; his Ministers will sit, uncovered, at his right, on the bottom step of the altar (the Assistant Priest of the Mass, in cope as usual, is at the Celebrant’s right; the Deacon is at the A.P.’s right, and the Subdeacon is at the Deacon’s right). 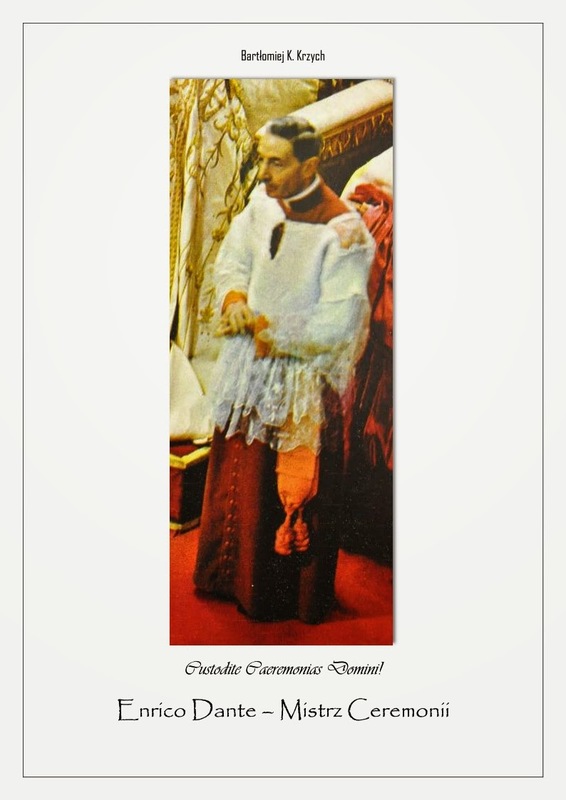 The Pope’s cope will be either red or white, as appropriate to the occasion; at a Requiem, he wears red cope, violet stole, and the silver mitre edged in gold. 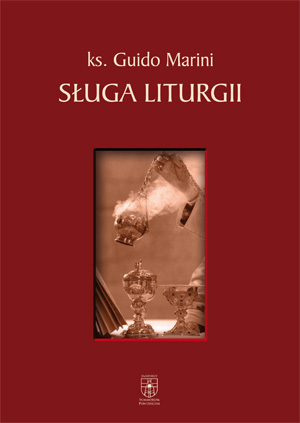 The Cardinals attend in cappa magna; their trainbearers, in purple cassock and crocea, will hold their birettas. The senior Cardinal Priest, in cappa magna, will act as the Pope’s Assistant Priest; and the Pope will be flanked at the throne by two Cardinal Deacons, also in cappa magna. They will have their zucchettos but will not wear the biretta. 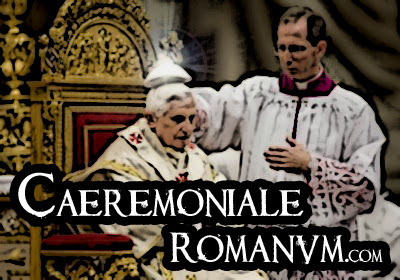 The Prefect of Apostolic Ceremonies is present also at the throne, in surplice and rochet; the Pope’s mitre will be borne by the Dean of the Roman Rota, in surplice, rochet, and veil; and the Prince Assistant, the Archbishop Book-Bearer, and the Archbishop Candle-Bearer will be on hand. Both of these latter are in copes. The Pope’s candle is not held in a candlestick. 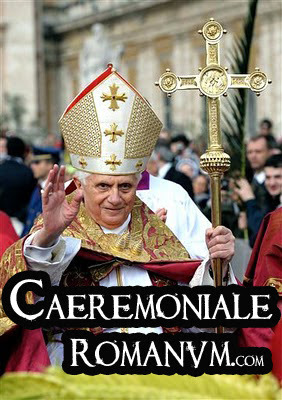 The Celebrant will not have a crozier, nor the hand-candle, and his insignia-bearers do not wear copes. The rite of Pontifical Mass at the faldstool will be followed, except for the details noted in this outline. Blessings, Kisses, Reverences. During the Mass, all blessings will be given by the Pope. 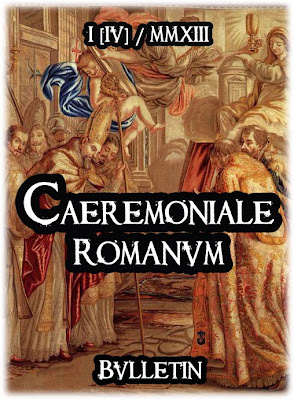 The Deacon will not offer the ceremonial kisses when at the altar, except that he will kiss the paten, chalice, and the Celebrant’s hand during the Offertory, and he kisses the paten and the Celebrant’s hand at the Libera nos. The Celebrant’s attendants do not genuflect or kneel to him. Incensations. The Celebrant will be incensed at the beginning of Mass and during the Offertory as usual, but with only two double swings. He is not incensed after the Gospel. 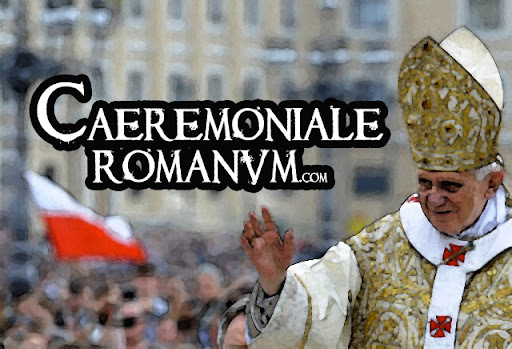 The Pope will be incensed, immediately after the Celebrant, at the beginning of Mass and during the Offertory. He will also be incensed, instead of the Celebrant, after the Gospel. The Cardinal Assistant Priest (who should be the Dean of Cardinal Priests, if available) always incenses the Pope. Beginning. 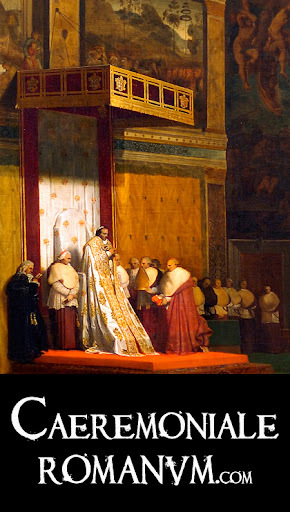 As is the rule for Pontifical Masses, the Asperges never occurs. 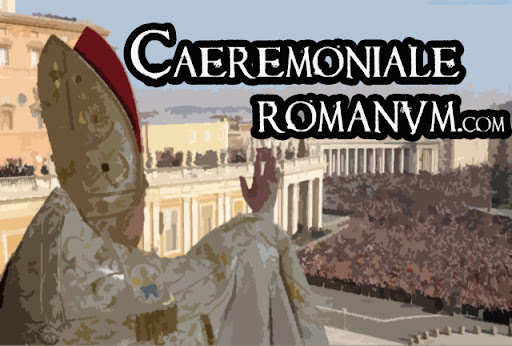 The Celebrant will sit at the faldstool to await the Pope; when the Pope arrives, the Celebrant is unmitred, rises, and bows low to the Pope, who then kneels at a prie-dieu before the altar. 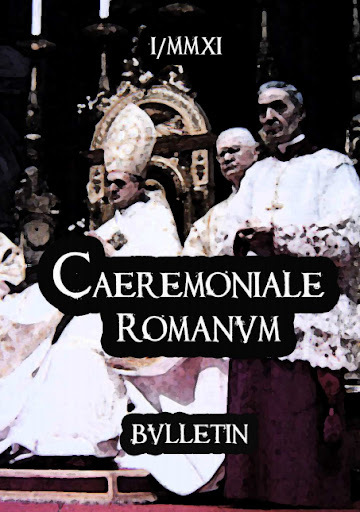 Before the Pope rises, the Celebrant and his Ministers take their places at his left for the beginning of Mass; and when the Pope rises, the prie-dieu will be taken away by two Masters of Ceremonies. 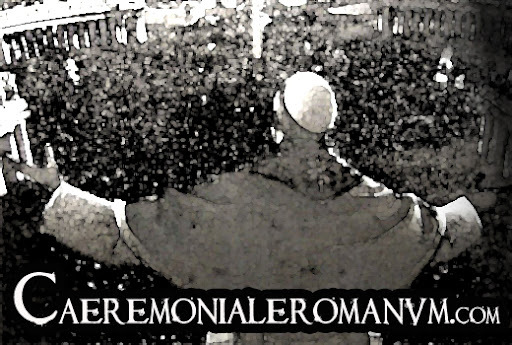 The Holy Father says the prayers at the foot of the altar with the Celebrant until after Indulgentiam; then the Celebrant will step back and finish the prayers (Deus, tu conversus, etc.) with his Ministers, while the Pope continues with his Assistant Cardinal Deacons. 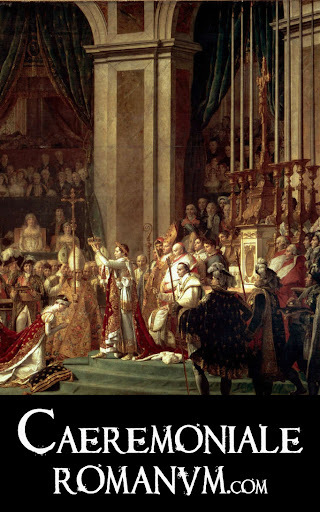 After this, the Pope receives the mitre and goes to the throne, where he gives up the mitre. Kyrie. For the recitation of the Kyrie (and also for the Gloria, Credo, Sanctus, and Agnus Dei), the Cardinals form a circle around the Pope’s throne to say it with him; afterward, he dismisses them with a sign of the cross. He sits as usual, mitred, after reciting the Gloria and Credo. Epistle. The Subdeacon will face partly toward the Pope while singing the Epistle. When finished, he will kiss the Pope’s foot. Gospel. The Deacon will kiss the Pope’s foot before, not after, fetching the Gospel book from the altar; while singing the Gospel, he should face toward the Pope. The Pope alone kisses the Gospel book and alone is incensed after the Gospel. After altar and Celebrant have been incensed, the Pope’s Cardinal Assistant Priest kneels to incense the Holy Father, who remains seated. 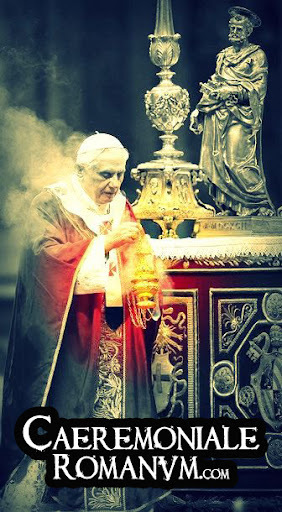 The Deacon will be at the Cardinal A.P.’s right; he will receive the thurible from him and proceed with incensing the choir and the Subdeacon as usual. The thurifer will incense the Deacon and servers. Canon. 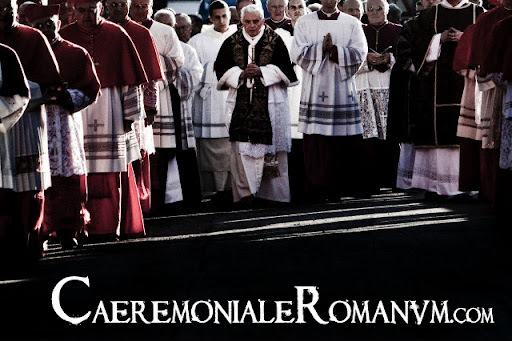 From after the recited Sanctus until after the Elevation of the Chalice (on penitential occasions, until the end of the Canon), the Pope will kneel bareheaded at a faldstool before the altar, flanked by the Assistant Cardinal Deacons, who hold the edges of his cope, and escorted by the prelates who attend him at the throne; he will wear mitre and zucchetto while passing from throne to faldstool and vice versa. 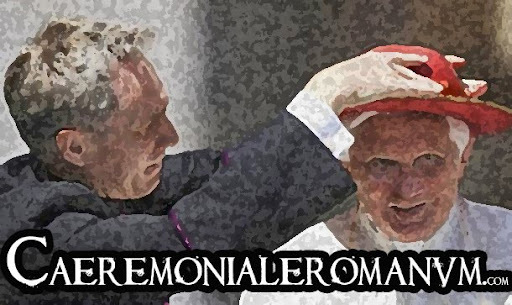 At the proper time, the Pope will receive the zucchetto and mitre, rise from the faldstool, and genuflect; he then returns to the throne, where he will stand, head uncovered, for the rest of the Canon. While the Pope kneels before the altar, the Subdeacon steps toward the Epistle side and partly faces him; when the Pope leaves, the Subdeacon will stand facing the altar squarely as usual. During the Canon, the four torchbearers will split up into two pairs, facing each other across the sanctuary. Pax. The Celebrant gives the Pax (if it will be given) only to the Pope’s A.P., who gives it to the Pope, who in turn gives it to both of his Assistant Cardinal Deacons. 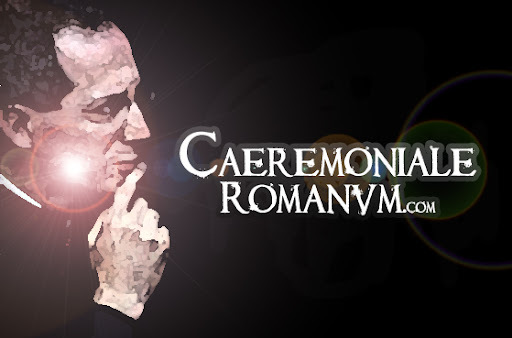 After the Agnus Dei, the Celebrant’s A.P. goes, escorted by the Celebrant’s M.C., to the Pope’s Cardinal A.P. 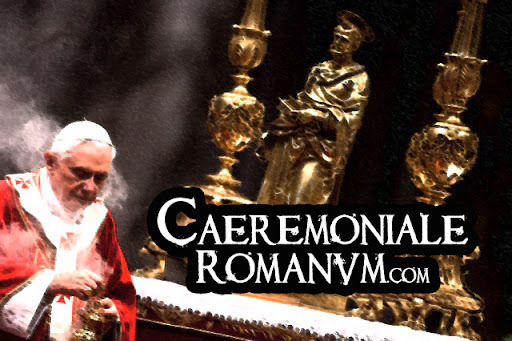 to receive the Pax; when he has received it, he gives it to the senior Cardinal of each rank seated in choir, then to the other major dignitaries (down to Papal Privy Chamberlains inclusively); finally he gives the Pax to the Celebrant’s M.C. and returns to the altar. Meanwhile, when the Celebrant’s M.C. has received the Pax, he will give it to other prelates present, then to the Deacon (who passes it to the Subdeacon), and lastly to the servers. End of Mass. As Metropolitan of the Roman Province, the Pope will have his metropolitan cross (held by the junior auditor of the Rota, vested in tunicle and kneeling) before him at the Blessing, so he will give this unmitred if it will be given. 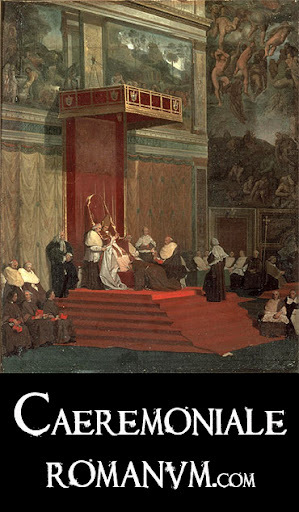 The Pope’s Cardinal A.P. 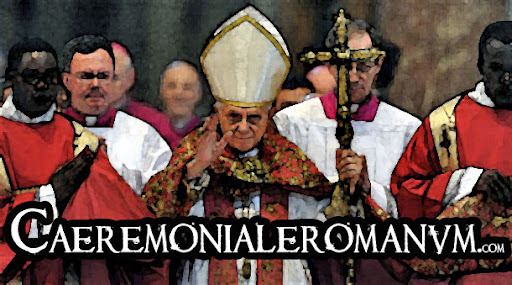 will announce the Plenary Indulgence, if it will be granted, in Latin and Italian. The Last Gospel is omitted.